The renowned Top 25 series is back with the latest and arguably the most exciting new brand extension in the series, Top 25 Country Songs Of Faith. The new double disc set from this timeless brand showcases Country music’s biggest songs about God by 25 of Country’s biggest artists. The Top 25 series has sold more than 1.8 million copies and has become a retailer’s staple as an enduring brand. 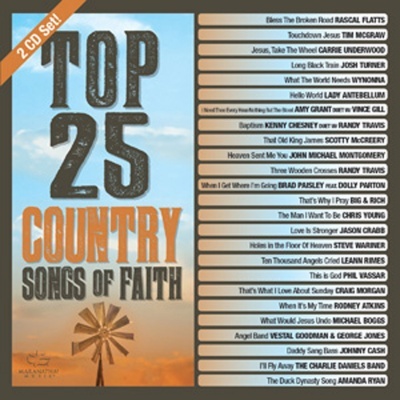 Now, with this latest release in the series, customers can get the best collection of country songs of faith from today’s most popular artists, newcomers and legacy artists - all on one all-star collection.